Miled Gonzalez is the Leasing Agent for Specialized Property Management, and has been with the company for two years. She has over four years of experience in leasing and property management. Ms. Gonzalez is primarily responsible for putting properties on the market as soon as they are ready, ensuring that the property is in good condition, marketing at the right price to minimize vacancy time, answering property inquiries, processing applications to secure qualified tenants, and providing weekly marketing updates to owner so that they have current information on their properties each week. In addition, Ms. Gonzalez assists all potential tenants during the application process, answering any questions regarding available properties and conducting prior move-in inspections to confirm the property is ready for new occupants. Prior to joining the company, Ms. Gonzalez worked as a Property Manager for a property management company that managed over 500 units. 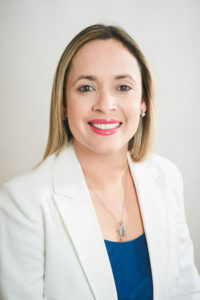 Ms. Gonzalez received her Bachelor’s Degree of Human Resources from The University of Puerto Rico, Mayaguez, and her Real Estate License from Champions Real Estate School. In her spare time, she enjoys spending time with my family, watching TV, reading books, cooking, and visiting/exploring other states.